The news of John Hughes passing away came as a shock to many of us. This is the man who made so many memorable movies when I was growing up. He seemed to capture the whole lifestyle of what it was to be a teenager in the 80′s wrapped up most likely in a blanket of a cool soundtrack. From the poor girl trying to get the attention of the rich popular guy, or the boy from the wrong side of the tracks wishing to get a date with the most beautiful girl in school (Miss Amanda Jones), John Hughes understood the teenager genre. I still remember watching Ferris Bueller’s Day Off in the movie theater and thinking what an awesome movie that was ( I know I said awesome). His choice in music was very up to date with what was cool at the time. New Order, OMD, Psychedelic Furs, General Public, Echo and the Bunnymen and the list goes on and on. A lot of people who grew up at the time said his movies were the soundtrack to their lives and I couldn’t agree with them more. Who wouldn’t have a tape of Pretty in Pink in their cassette deck? I would have to say it was cool growing up in the 80′s and John Hughes will be a big part of that. There are so many songs to list and show, but I think this one will capture it all. Between him and MJ, the 80′s feel like such a distant, never returning memory. He pretty much invented the teen film genre. He was so clever. I was watching Sixteen Candles last night and it still amazes me every time. Every single second of his films have something brilliant in them, you blink and you miss an amazing joke. Not to sound old, but they really don’t make em like they used to. 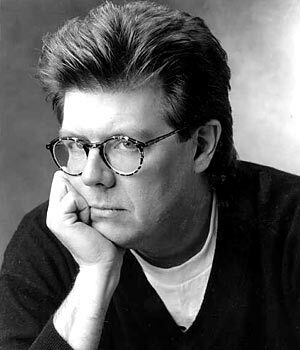 I miss John Hughes… and the 80′s… and Michael Jackson. Oh how I precious the music sound from the , everything seemed to be way much productive than today .